Voto Mobiles has launched, its latest model V9 recently. This new VOTO Smartphones represent the Indian youth especially in tier2 & tier3 cities through its combination of dynamic design and power-packed features. V9 has a mellow body with non-slip design. The back curvy design at its edges gives you a great feeling when your fingers pass over the sides. Grippe texture finish makes the device easy to grip without the fear of it falling out of the hand. V9 model runs of the latest version of Android Oreo 8.1 powered by Quad Core Processor with memory 3+32 GB, Finger Print Sensor, Face ID Unlock, Google Certified Device (Bug less software), V9 come up with the screen size 5.85” IPS &Display 2.5 curve HD, and Camera 13+2 MP Rear Camera and 8 MP Front Camera with Panorama View Mode. Sporting a 2.5 Curve HD display, VOTO V9 mobile have power-packed with a 3000mAH battery with clear voice calls in a noisy environment. Mellow body with Non-slip Design with Access to 22 regional languages support. Experience better connectivity with Dual 4G VoLTE+VoLTE, Faster Multitasking & Bigger storage, rich graphics experience and app usage in an uninterrupted form while optimizing the battery life. Besides the powerful sensor and stunning resolution, the high-quality HD display screen gives a spectacular quality view. 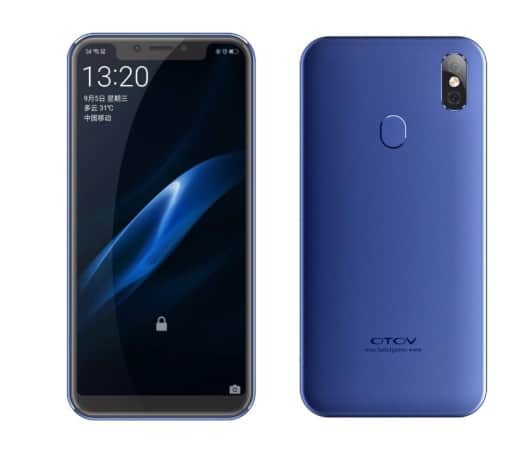 VOTO V9 smartphone priced at a range of Rs. 6,999 and is available in all premium retail stores across the country. “We are excited to mark a new milestone at VOTO with this ultra-modern smartphone V9. VOTO is sure to create buzz and recreate benchmarks in the industry. VOTO has used its expertise to create a unique space having unmatched quality, distribution and pan-Indian service network in the Indian market” said Mr. Santosh Singh, National Sales Head, VOTO India. Delivering a combination of advanced design and innovative features, VOTO promises a seamless multitasking experience with improved application and web performance.